In ensuring effective metering system in the country, the management of Eko Electricity Distribution Company Plc, EKEDC, has assured that ongoing Meter Assets Provider Programme (MAP) would put an end to metering challenges faced by customers in the country. The Chief Executive Officer, Mr. Adeoye Fadeyibi, made the disclosure at the company’s town hall meeting with customers of Orile District in Lagos on Thursday. Fadeyibi, represented by the company’s Chief Finance Officer, Mr Joseph Ezenwa, said the essence of the meeting was to deliberate with customers on effective service delivery. According to him, customers’ responses at the meeting were encouraging, as they spoke with one voice. He said: “If we give them electricity and the bills come along, they will be willing to pay the bills. “Now, we are both committed and this is fantastic. We, in EKEDC will ensure stable supply once energy from the gird improves. This, he noted, would lead to reduction in what they called “crazy bill’’. 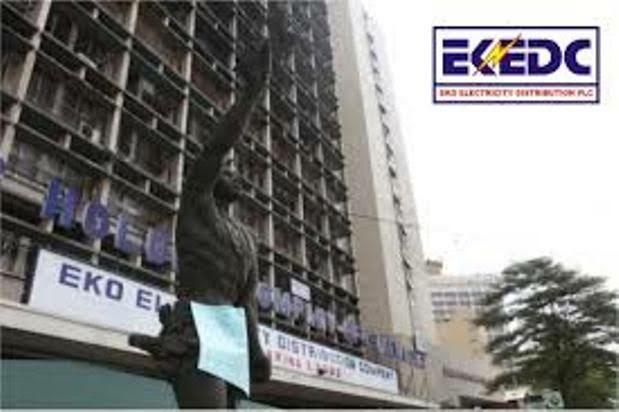 “What you call crazy bill is not crazy, according us in Eko Disco; we have an approved methodology for billing consumers who do not have functional meters. “It is what we get from your transformer monthly that is being shared among the consumers. “So, if your neighbours are tapping power daily or you see welding machines nearby and you think it is our responsibility to hold them, it will reflect in your bills. “Expose your neighbours who are bypassing meters or anybody that is tapping supply from our electric poles now. This is for the benefit of both parties,” he said. Fadeyibi assured the residents that the company’s prepaid meter roll-out programme would soon be extended to them when the MAP kick-starts. “Under the new MAP regulation, customer classes shall be amended to ensure that customers only pay for meters when it is physically installed in their premises. “EKEDC has expended a lot of resources on enlightening the public on the dangers of the infringement.